For children, divorce can be stressful, sad, and confusing. At any age, kids may feel uncertain or angry at the prospect of mom and dad splitting up. For the past several weeks, I have been talking to kids in grades 5-8 about divorce. Sometimes, getting them to open up is difficult, but asking guiding questions and being patient is key. 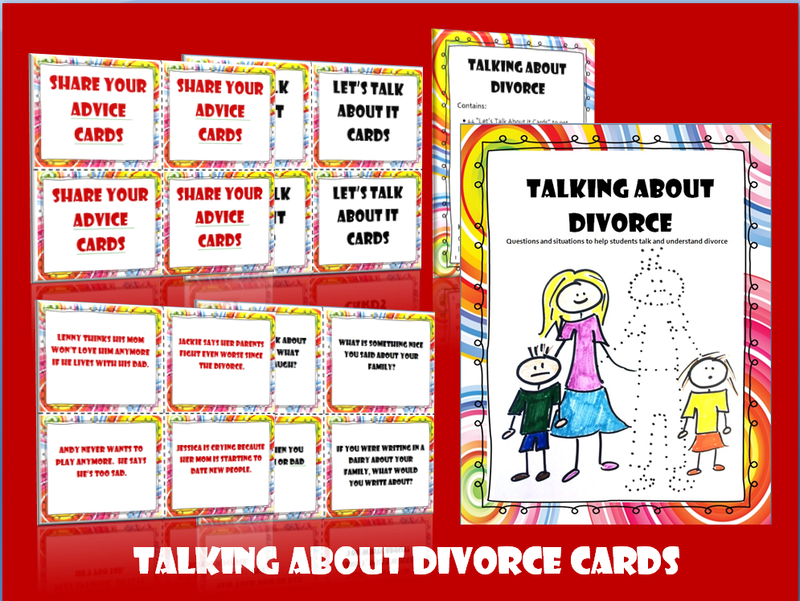 I created these Divorce Cards to ask kids questions about how they are feeling about their parent's divorce. 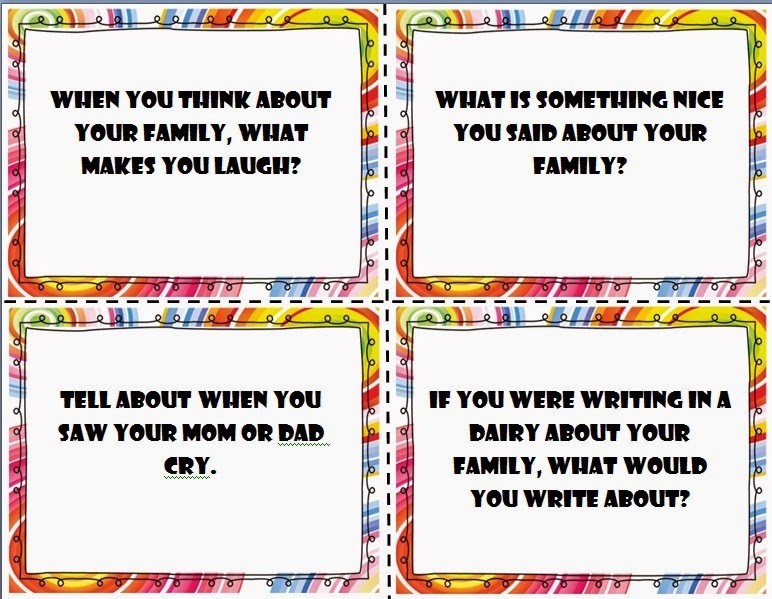 In addition, I came up with scenarios that allow kids to give advice on how they would handle the situation or explain how they might feel if they were in that situation. The key to talking about divorce is being straightforward and truthful. 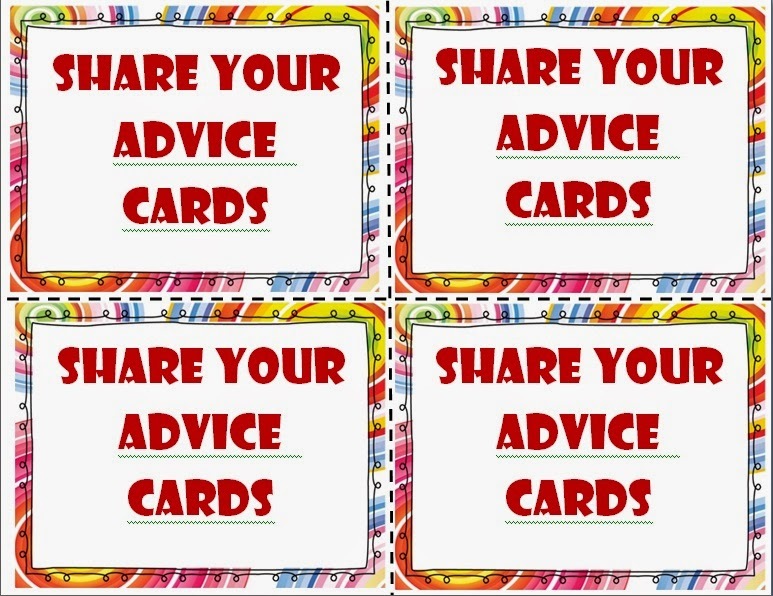 Kids sometimes need answers that only their parents can provide, but as a counselor, you can help them to formulate a way to ask at home for the answers they are looking for. Reinforcing that they are not the cause of the divorce and that their parents didn't leave because they are not loved anymore is important. Let them grieve their loss and express their feelings. Remember too, recovering is a process, it's not going to happen overnight. 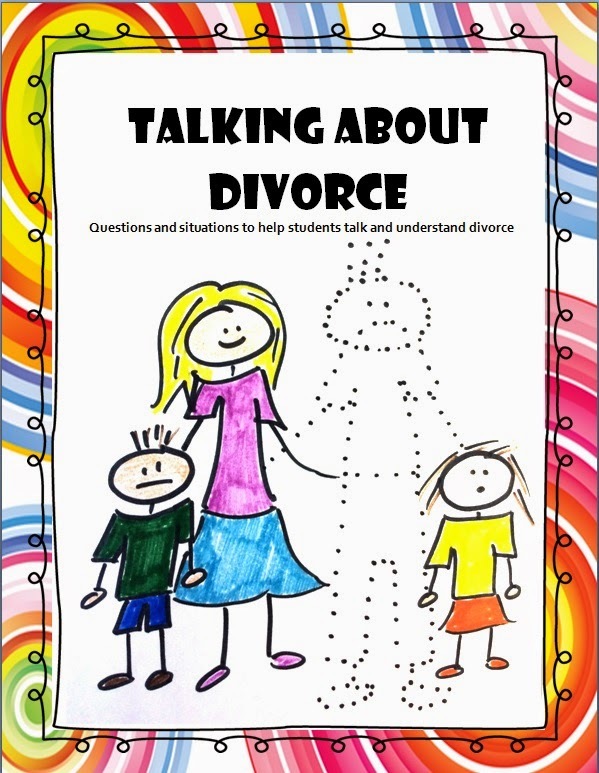 How do you help students talk about divorce? Oops, people write in a diary, not a dairy. Well, I suppose farmers write in a dairy! :) Love these cards, though. 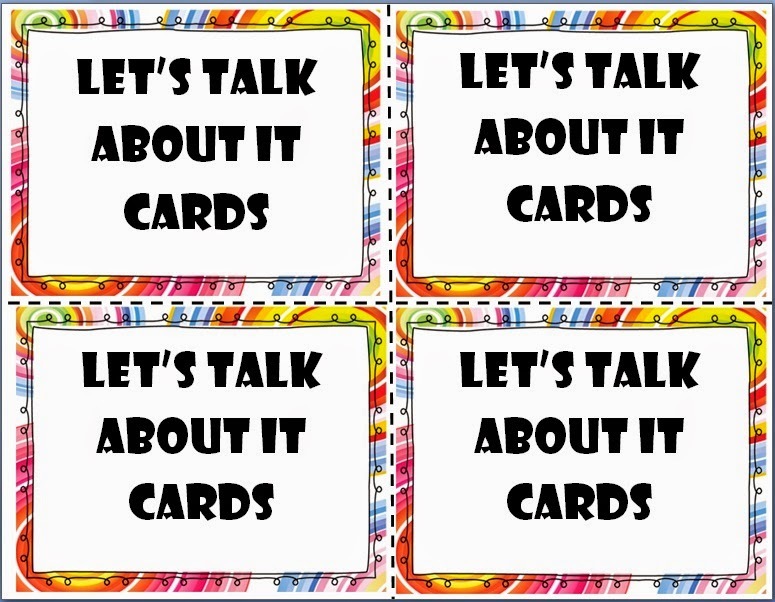 They would be great to pair with a board game: answer a card before your turn. I have been on the lookout for a good therapist that specializes in divorce counseling in west Los Angeles. I am trying to get to the site to download the divorce cards and it is not letting me? ?